Rated 5 out of 5 by kenya64 from Niiiice Fantasy play! This is a great hidden object game where you have to find the fragments of pieces to put together while traveling to a faraway fantasy land. Rated 5 out of 5 by Hookedonbigfish from Good spellbinding game This game starts at Mt Olympus where a goddess has to overcome challenges and use unique powers to assemble artifacts and to eventually achieve immortality. There is just enough dialogue to instruct you through the game and the graphics which are not that good being hand drawn but are passable and reasonably easy to discern. the puzzles and mini games are simply and not very involved but the block puzzles are a bit more challenging. The matching pairs puzzles are quite unique and differently depicted. Finding the hidden objects requires looking for pieces of the items listed and to assemble these objects to trigger another part of the game. Some are very well hidden whilst others are easliy spotted while still others require a spell to reveal them. A very entertaining and engrossing game which I thoroughly recommend. Rated 5 out of 5 by adelia_morgan from Unique and underrated; give it a try! 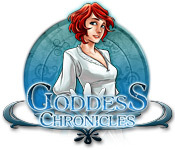 I was very pleasantly surprised by Goddess Chronicles. 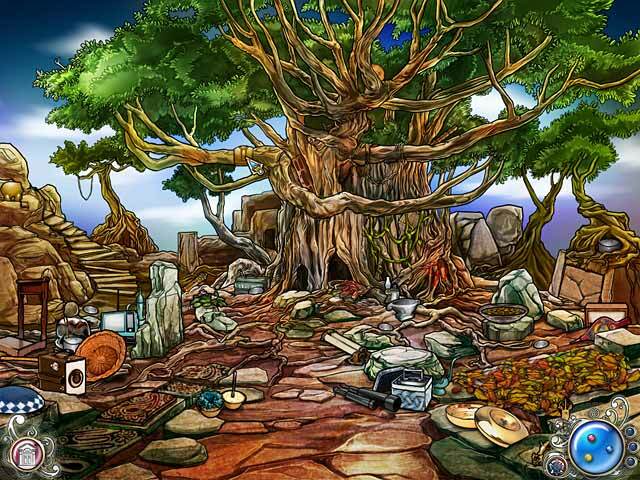 It is a hidden object game, but it's different in you have to use spells some of the time to work and find these objects. You are a practicing "Goddess," and Zeus and Hades have sent you on trials to learn how to use your powers. The scenes look hand drawn and are very different than the 'photorealistic' scenes in most HOGs. The game lasted longer than I thought it would, and I found I at times that I couldn't stop playing; I was loving the story, the graphics and the HOG challenge. Sometimes you have to choose among your powers for use in scenes to locate hidden objects. The hints were helpful, but you only have a certain amount of them per scene. I won't give away the ending, but I smell a sequel. Give this unique game a try! Rated 4 out of 5 by Little_Joe1 from challenging HOG and FROG "Goddess Chronicles" takes you on a journey to become a goddess yourself. To achieve this, you have to search scenes for hidden and fragmented objects both. Once you've collected the objects, you have to solve with all of them a puzzle to gain a specific power you'll use in future search scenes. The game and story line are average; however, the challenge the game poses and its use of the found objects make it a fun game to play and will keep you busy for quite a while. The objects are often hard to find, and several times you'll have to move other objects before you can spot them. 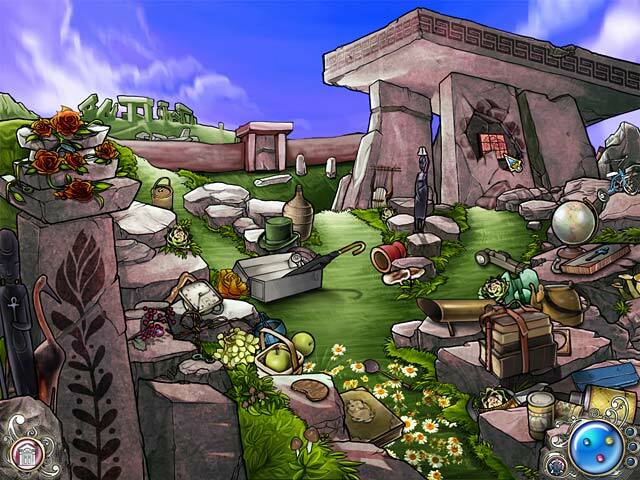 The visuals are quite nice - it is drawn in a stylized cartoon style, similar to "Mystery of Mortlake Mansion". Bright colours, bold outlines. Many objects are small and hard to find, good challenge. One of the biggest challenges for me was finding the way out of each scene: Even when completed a search scene, you can't move on #and the game won't automaticaly move you on# when you don't find the exit or the things yo need to manipulate it in order to open it. Hints don't work for this, so this can be tricky. I enjoyed this challenge. The smaller puzzles and games in between #memory, matching tiles, ...# are very easy and can also be skipped. Hint button refreshes after 1 minute, but you can find small pearls in the scenes you can also use for hins. Only for the objects, though - the exit is your challenge. One level of difficulty, so beginner players might find it too difficult, since you can't adjust the mode. I recommend this game for players who like stylized visuals and enjoy a mix of hidden objects #all with pictures, no lists# and fragmented objects. Rated 3 out of 5 by arnold1049 from TOO SHORT AND TOO EASY The title says it all. I purchased the game without playing the demo. I would imagine you could get through almost all the game in an hour. Rated 3 out of 5 by pennmom36 from Goddess Chronicles Adonia is a divine being who lives in the realm of Olympia as a demigod. Now that she has come of age, Zeus and Hades have offered her one chance to take the Trials of Ascension to become a full deity. As Adonia progresses, she acquires new powers which are sometimes used to help her locate items within the Hidden Object Scenes which are in the form of fragments that will combine to complete and object that takes her to the next test. The graphics are hand drawn and a bit too cartoonish for my taste. There are Mini Games available as well, nothing new or complex such as a Matching game of identical pairs or "Blocks". Many items were difficult to pick up, I had to click all around the items several times to acquire them. 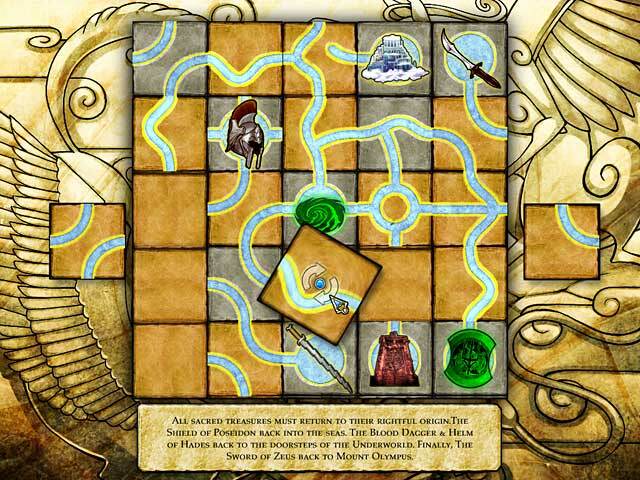 Rated 3 out of 5 by Tassiegal from Not for me This game would be fine for a relative beginner but it didn't do much for me, much to my surprise - I love HOGs and am fascinated by mythology. I have downloaded the trial version twice (on different computers) but somehow the game didn't grab me enough to want to buy it. The game lacked that certain something which would have made it absorbing. Pity. The graphics are a bit flat but that doesn't matter when the gameplay is good. It's great that BFG allows a 1hr. trial of games - try it for yourself and see.